"'No, I am not overdoing it,' said Bertlef, and then he addressed the cameraman: 'You are under that impression because you merely live in the basement of being, you anthropomorphized barrel of vinegar! You are filled with acids seething in you as in an alchemist's pot! You are devoting your life to discovering around you the same ugliness you carry within you. That is the only way you can feel at peace for a moment with the world. Because the world, which is beautiful, frightens you, sickens you, and constantly pushes you away from its center. How unbearable it is to have dirt under your fingernails and a pretty woman beside you! And so you have to soil the woman before you enjoy her. Isn't it so, sir? I am glad you are hiding your hands under the table, I was certainly right to have talked about your fingernails." Milan Kundera was born in Czechoslovakia, and later moved to France. He considers himself a French writer, even though his most famous books were written in Czech. His most famous novel is The Unbearable Lightness of Being, which was later adapted into a film starring Daniel Day-Lewis. In Farewell Waltz, a famous trumpeter finds out that a young woman he's recently spent the night with is going to have his child. Not wanting to leave his wife, he persuades her to have an abortion with the assistance of several friends. The young woman vacillates between compliance and veiled threats, while the trumpeter's friends are slowly revealed in all their eccentricities. But is it, as the author would have you believe, a French novel? Not in the slightest. This novel lacks the irony and nihilism that mark so many French novels, and even beside that it's very Eastern European in character. As a novel (of any type) it sometimes works and sometimes doesn't. It rambles in parts, and some of the characters are less personalities than plot devices. This is particularly true of the ex-politician, who seems to behave in the most irrational manner. It's as if the author couldn't come up with reasons for his actions, and in instead launched him into an existential inner monologue about why or why not he might be doing what he was doing. It might have worked if one felt a genuine sense of uncertainty from the character, but instead of this one gets the feeling that the author couldn't supply the proper motivation. Those who enjoy Russian writers might like this book. It has that flavor. But parts of it could be described as pretentious, and I think that the plot has some issues that are never quite resolved. 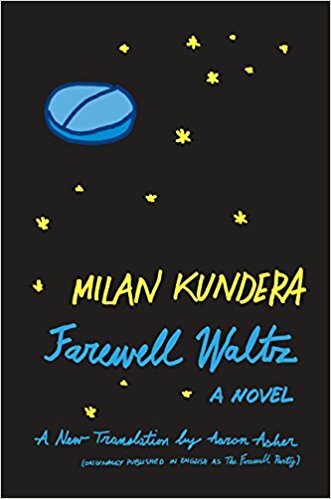 It's not bad by any stretch of the imagination, but I have the feeling that Milan Kundera wrote better books.